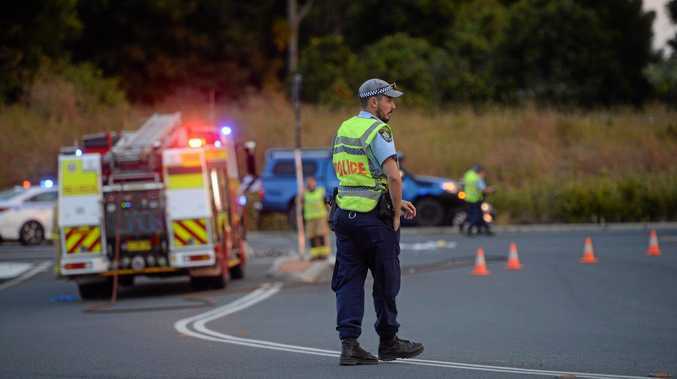 A WOMAN charged over a fatal Bruxner Highway crash has had her matter briefly heard in court. Krystyl Sloan-Rummery, 33, was not present when her matter was mentioned for the first time before Lismore Local Court yesterday. She was charged with negligent driving occasioning death and failing to give way after the August 20, 2018 collision. A 39-year-old man who was riding a motorcycle east on the Bruxner Highway at Alstonville died as a result of the crash. Police will allege Ms Sloan-Rummery was travelling south on Ballina Rd and, as she entered the Bruxner Highway, collided with the rider. Attempts to revive the man at the scene were unsuccessful. Ms Sloan-Rummery was charged on January. The court heard the prosecution would have to further consider the charges against the woman. "This is a matter that I understand needs to be read over (regarding) whether they're proceeding with those charges or other charges," her solicitor Vince Boss told the court. Prosecutor Brett Gradisnik said the woman was facing four charges which could be dealt with summarily, or in the Local Court. Mr Gradisnik said the prosecution was still determining whether those charges would remain "as opposed to indictable charges". He sought an adjournment for this to be further considered. Magistrate Annette Sinclair adjourned the matter to April 29. Outside court, Mr Boss acknowledged swift action had been taken since the incident to remedy some safety concerns at the site of the crash.